Can having a dash cam speed up an insurance claim? Dash cameras are becoming ever more popular with UK drivers, but can dashcam footage actually speed up an insurance claim following an accident? A car accident is naturally very stressful and - unfortunately - it's something we're all likely to be involved in at least once in our driving lifetime. So in theory it benefits drivers and insurers if the post-accident experience is as easy as possible. And that means keeping disputes surrounding liability to a minimum. Why is it useful to have a dash cam? If you didn't know, a dash cam is a small, digital video camera that mounts onto the dashboard (or more usually windscreen) to record the driver's journey. Some dash cams also have extra features like GPS, lane departure warning, distance warnings and driver fatigure alerts. They key thing in terms of insurance is that they provide an independent witness that can help prove non-fault in an accident scenario, as well as offering protection against fraudulent claims. Will I save money on my insurance? More and more insurers now offer discounts - usually between 10 and 20 per cent - if you have a dash cam installed. Why? Often there are no independent witnesses in an accident. If both drivers claim to have been the innocent party, insurers will often settle on a knock for knock basis. This is where each insurer pays for the damage to their own client's vehicle. With crash for cash schemes on the increase as well, dash cams also protect against fraudsters trying to make a quick buck by claiming an accident was your fault. Footage from a dash cam is invaluable in proving this. As you can see below. Dash cams not only save insurers money on settling disputes and paying out repairs, they also mean you can keep your no claims discount and your excess. Plus your premium shouldn't rise when it comes to renewal. 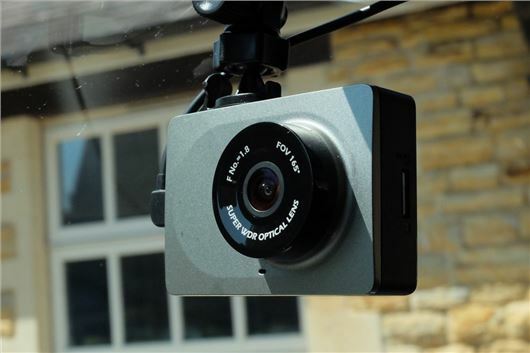 Swiftcover offers discounts of 12.5 per cent with a Nextbase dashcam to new customers. Owners of Nextbase dash cameras are also eligible for 20 per cent off their insurance policy if they take it out through broker Sure Thing, and AXA Insurance offers 10 per cent discounts to dash cam owners. Aviva customers can download the free Aviva Drive app to their smartphone to track their driving (acceleration, cornering and braking). Drivers then achieve a score, those with a 7.1 or higher save an average of £170 on comprehensive cover, according to Aviva. Though the discount requires a minimum current premium of £200. For drivers aged between 21 and 30, MyFirstUK offers savings up to 30 per cent if you take out a dash cam insurance policy with them. Drivers must have a Nextbase 312GW dash cam installed in their vehicle, which is included as part of the premium. What happens to the footage after it's submitted? The footage is kept as evidence as long as it's useful, after which it's deleted. What happens if I put the footage on Facebook or Youtube? Various police forces across the UK have implemented online processes, which allow drivers to upload and submit their footage. One such police force, Cheshire Constabulary, asks motorists not to put the footage on social media because it can affect any action being taken if the matter went to court. If footage is already on social media, they request it be taken down. For more information, take a look at our complete dash cam buying advice guide. From personal experience, yes it does. All the to and fro between insurance companies and debate is slashed to almost nothing. Had an idiot run into me on the Sunday and my insurance company loved I had the footage. I was involved in an accident 3 weeks ago with the other party blaming me. As soon as HIS insurers seen the footage, they admitted liability. Also as I reported it on a Friday evening I was told I would have to wait till Monday for a replacement car as they had to wait for the at fault drivers insurance to admit liability, but as soon as they seen the footage that I emailed them while still on the phone chatting with the claims company, they told me to pick the car up the next day (Saturday). So all in all the dash cam that my wife bought me for my birthday a few month earlier from Aldi saved me a lot of money and stress. My advice to anyone and everyone os to go treat yourself to a dash cam. Mine only cost £35 and saved me hundreds. Beware that only a dash cam with GPS imprinting on the video is allowable as evidence in court. Beware that only dash cam footage that shows GPS imprinting is allowable as evidence in court. Whilst this may be true, sight of the footage can obviate the need for a court appearance. I had two accidents in the space of two months, both the fault of the other party, and both tried pinning the fault on me. Without any evidence, settling them on a knock for knock basis would have cost me hundreds of pounds. In both cases the insurance companies paid up immediately on presentation of the dashcam footage (and the threat of using an accident claim management company).